This is a question we hear a lot. Unfortunately there’s no simple answer to this question. Firstly, that’s because there’s no globally agreed definition of the two terms. That means that our explanation often needs to change depending on the user’s perspective. Secondly, it’s also because there’s a lot of common area between the two fields even when using the most common definitions. User experience design focuses on the overall experience between a user and a product. It is not just concerned with the interactive elements but also the way that certain elements look, feel or contrive to deliver certain outputs. 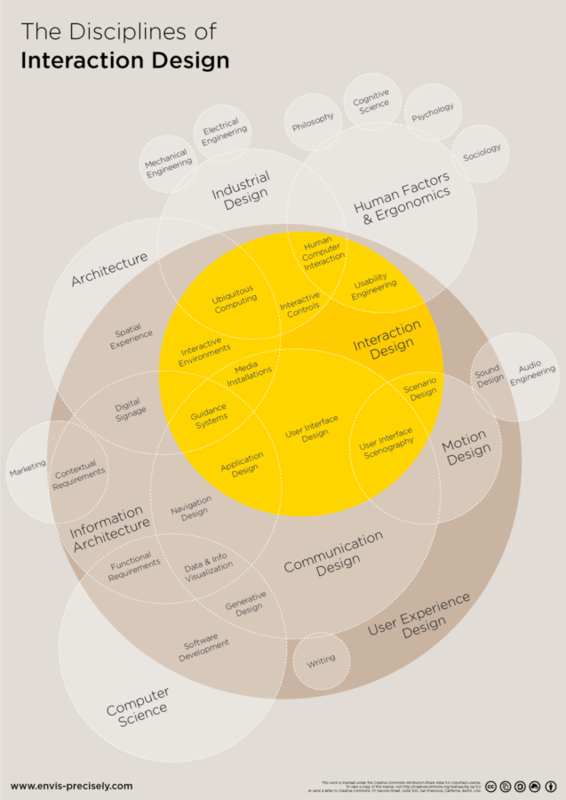 So… Interaction Design is a Subset of UX Design? Kind of. There’s no doubt that the activity created by an interaction designer needs to follow some form of UX design process. There’s no point in conducting user research and working out what user’s want if interaction designers who are responding to those needs are kept at arms’ length from UX research outputs. It’s likely that in most design organizations that interaction design has already been formally established as a “real thing” too. It has been clear ever since the dawn of computing that the way we interact with our products is important. The mouse, the light pen, the touchscreen, the wearable computer, etc. all come from this discipline. The simpler the interaction the more beautiful it is. So why isn’t interaction design the same as user experience design? What if you had a product which allowed you to communicate with it telepathically? What if that communication occurred at the speed of light? What if the data you provided then took several hours to process before the computer responded to you? An interaction designer shouldn’t notice. Their job is to choreograph the interaction. Assuming that each interaction was quick and pleasurable – their job is done. The UX designer on the other hand is more concerned with that wait to process the information. The experience of using the product is impaired outside of the actual interactions. This may need a new processor, extended memory, big hard drives to fix. Or it might need a new way of programming or a new way of parsing information to fix. It’s no longer a question of interaction but it has become a larger requirement that falls into the hands of many other design disciplines. Just because Interaction Design is a subset of UX Design it doesn’t mean they are the same thing. Not every UX designer is a competent interaction designer or vice-versa. The minor semantic differences are important if you want to create the right group of skills within your product development teams.